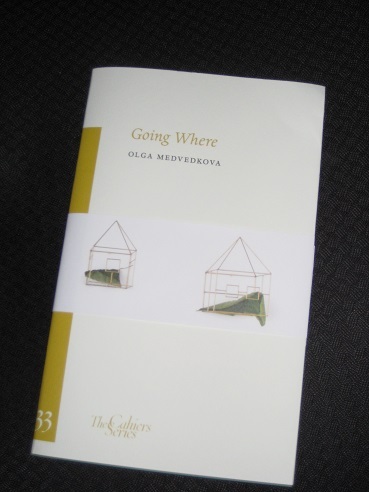 Olga Medvedkova’s Going Where (translated by Richard Pevear) is, unusually for this series, a straight collection of five short stories. After Pevear briefly introduces the writer, it’s on to the fiction, five tales focusing on visits to major cities. The writer takes us to Palermo, Athens, Venice, Lisbon and Jerusalem, each story a short trip wrapped up within five or six pages, and we get to experience these cities vicariously while learning of how the narrators were affected by their time there. It sounds like a nice idea in theory, but Going Where never really worked for me. None of the stories particularly stood out, with the Venice piece perhaps the pick of the bunch, a monologue told by a tour guide with a loathing for the tourists he takes through the streets of his beloved city. Several pieces focus on the main character’s past, pulling the reader back in time via notebooks, memories or photographs, but most seem to suggest that while travel may broaden the mind, there’s no place like home. It’s not all bad, and there are certainly some enjoyable passages. The Palermo story is marked by the humour centring on a man who would really rather not be there, an anxiety-ridden pensioner trailing in the wake of his enigmatic wife. Moving on to Lisbon, a woman decides to take an acquaintance up on the offer of a place to stay, only to find him in a bad way when she arrives. Overall, though, it all feels a little forced and overdone, and I can’t imagine myself revisiting any of the pieces in a hurry. Perhaps the main reason for my negative take on the work, though, is the excellence of the cahier that precedes it in the series. 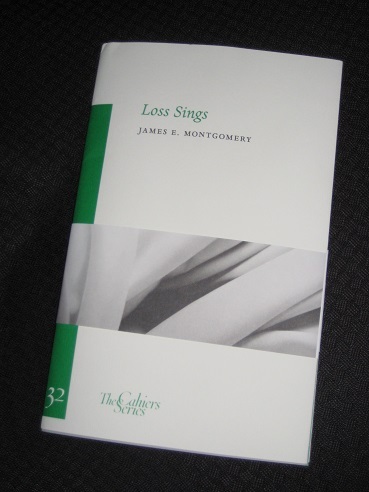 Where Going Where is a little light and superficial, James E. Montgomery’s Loss Sings is a far more impressive work, a confessional piece blending diary entries, memories of personal loss and his translations of seventh-century Arabic poetry. Now *that’s* more like the cahiers I’ve come to admire. The starting point for the books comes when the writer discusses his teaching and translation of the threnodies of the 7th-century poet al-Khansā’. Surprisingly, he admits that he never really got the poems, finding them rather repetitive, with far too much weeping, wailing and gnashing of teeth. Until, that is, the day the poems found him. One of the reports is a prognosis by an orthopaedic surgeon that medically, forensically, and meticulously charts my son’s ever-increasing pain, decade by decade, as he gradually shrinks into immobility. The report forces me to admit that I will not be able to care for him during the decades when he will need me most. It is the most terrifying piece of prose I have ever read. The cahier is a beautiful short work, elegant, emotional, yet also clinical in its examination of grief. As it turns out, the son’s ordeal proved to be a springboard to thoughts of other misfortunes. The writer looks back at his father’s death, and how it was handled, focusing on the reticence and decorum everyone showed afterwards, as well as the assistance of clichés in a time of sorrow. This naturally leads to reflections on his own mortality – this is a rather unfortunate time, then, to require a biopsy. This, then, is Montgomery’s own attempt to sing of his grief – and very good it is, too. Oh, I found just the opposite! Absolutely LOVED Olga’s Going Where. Will resonate for a long time to come. 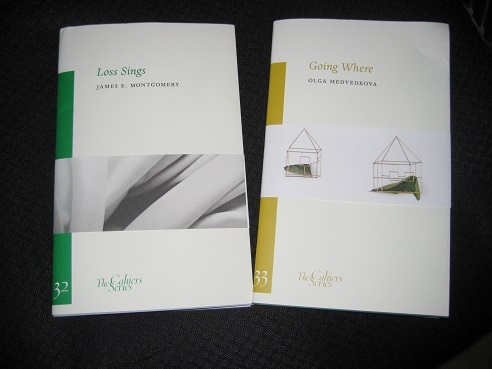 On the whole, I find the Sylph Editions totally addictive and wait in anticipation for the next. But thank you for your reasoning. Perhaps it is because I am female?